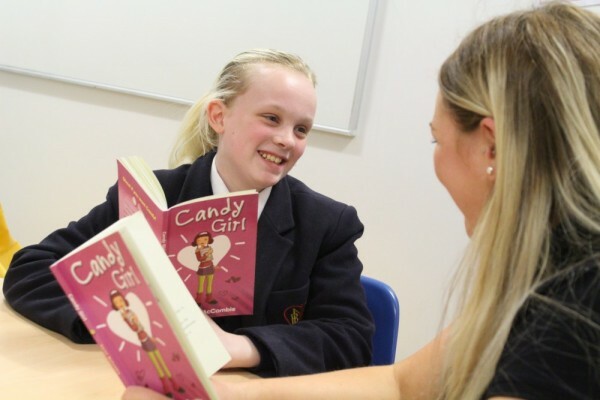 The Learning Zone (LZ) in the Belfast Model School for Girls provides a caring and nurturing environment, offering help and support for those pupils with special educational needs. The LZ team is led by Miss Dawn Fryer (SENCo) and 15 trained classroom assistants. This dedicated team works closely with teaching staff to provide each pupil with full access to the broad and varied curriculum at the Belfast Model School for Girls. Pupils with specific needs receive specialist teaching in Numeracy, Literacy and social and emotional skills individually or in small tutorial groups. Some girls receive long-term extra support and teaching, on a one-to-one basis in the unit. Other girls may attend the LZ for a shorter period of time following illness, or other challenging circumstances. The Learning Zone is also a safe haven for those more sensitive pupils in school (perhaps those with ASD) who find break and lunch times very stressful due to the increased noise and movement in these less structured times of the day. The girls can come to the unit to sit quietly with their friends or to take part in our peer-reading scheme where they have the opportunity to sit and read with one of the Year 13 pupils. The main aim of the Learning Zone is to ensure smooth transitions for pupils with special needs: successful transition from primary school to post-primary education, throughout the key-stages and most importantly into adulthood. Support is provided at every opportunity to cultivate independence, confidence and success. If you would like to speak to someone to find out more about the work of the Learning Zone and how we could support your daughter, contact school and one of the team will get back to you as soon as possible. We can speak to you on the phone or arrange a visit.